A stay in Porto gave us a great view of this smaller city in the north of Portugal. 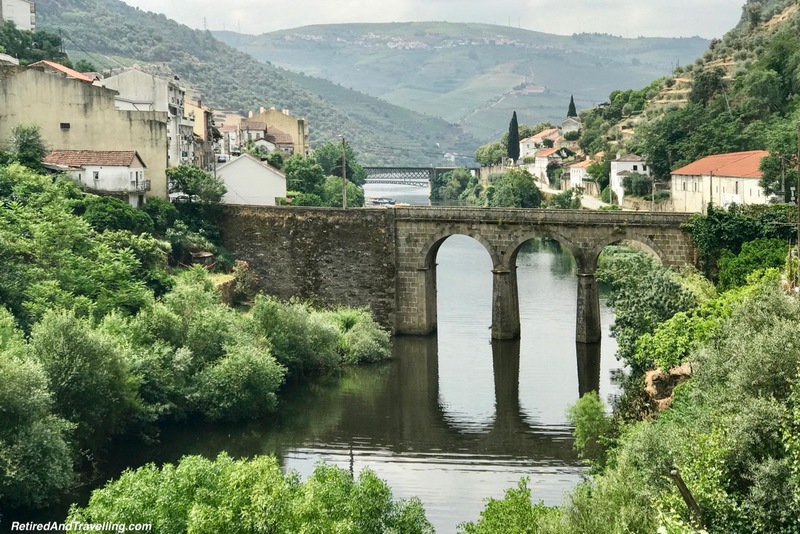 When we headed into the Douro River Valley area, we decided to take a break from the city by staying in Douro wine country. Driving on the small roads along the river valley provided us with a great introduction to this region. We saw many small towns along the way and drove through the larger towns of Regua and Pinhao. 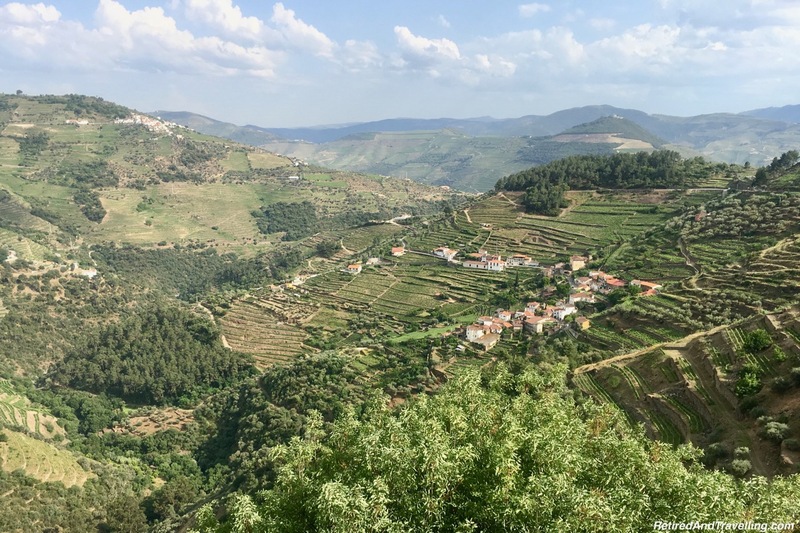 When we left Pinhao, we drove high up the mountain roads to the small hamlet of Provensende. This would be our country stop for a few days. We drove along the small narrow cobblestone streets and followed the signs to the Quinta Manhas. This was a small country inn with only 7 rooms. We booked the room in the separate cottage. The reception area clearly showed that we were in wine country. A port decanter was on the counter, wine was for sale and the signage welcomed you to wine tasting. The view from the quinta was over a broad open valley of wine fields. 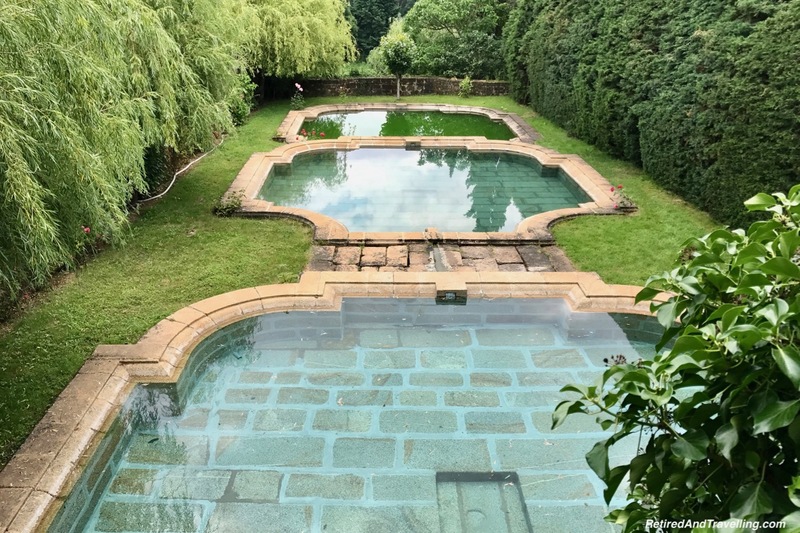 We could see the swimming pool glistening blue. It was very hot in wine country when we visited and the cold pool was welcome. 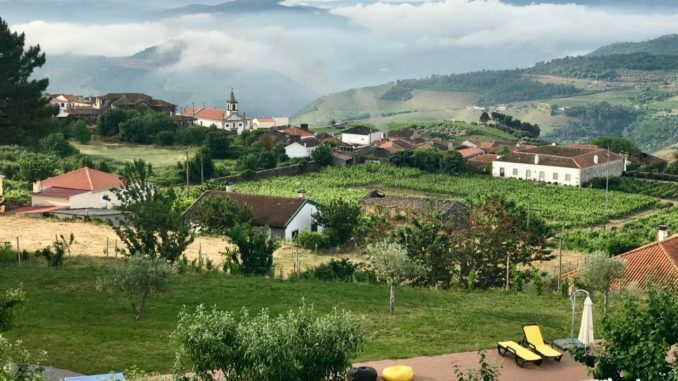 Staying in Douro wine country, this would be a great base for us to explore the countryside. We debated spending a down day just relaxing by the pool. It had been a very busy trip as we explored Portugal for 4 weeks. 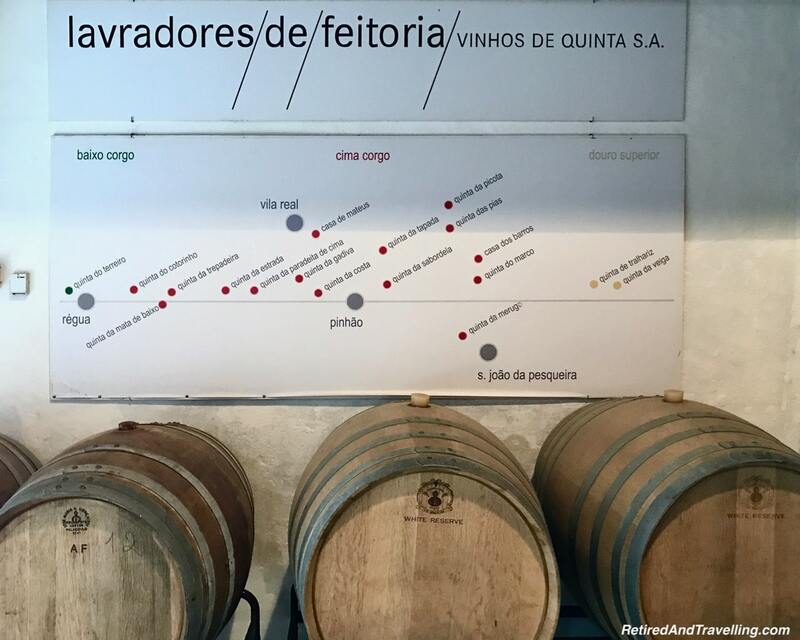 But there were things we wanted to see and do while staying in Douro wine country. 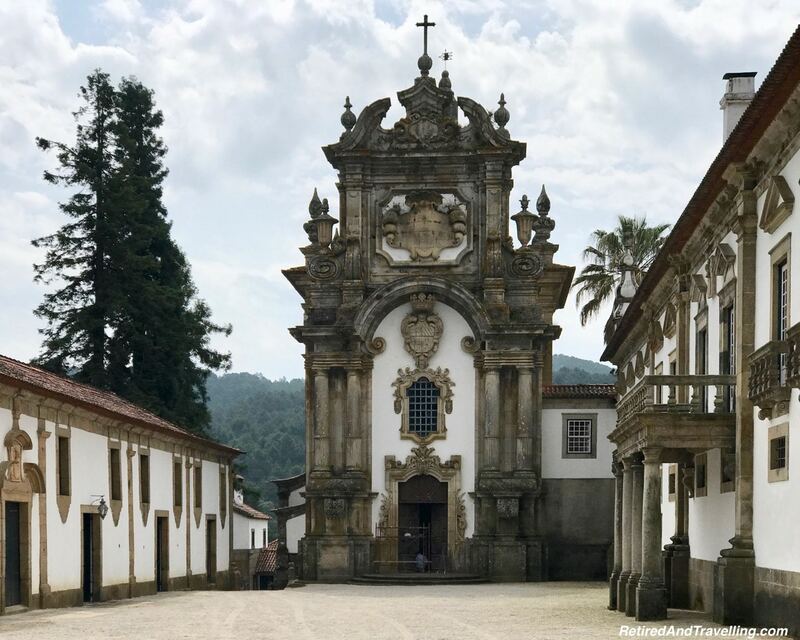 There was one major day trip on our plan to do while staying Douro wine country. We headed back out on the twisty road hugging the hills. 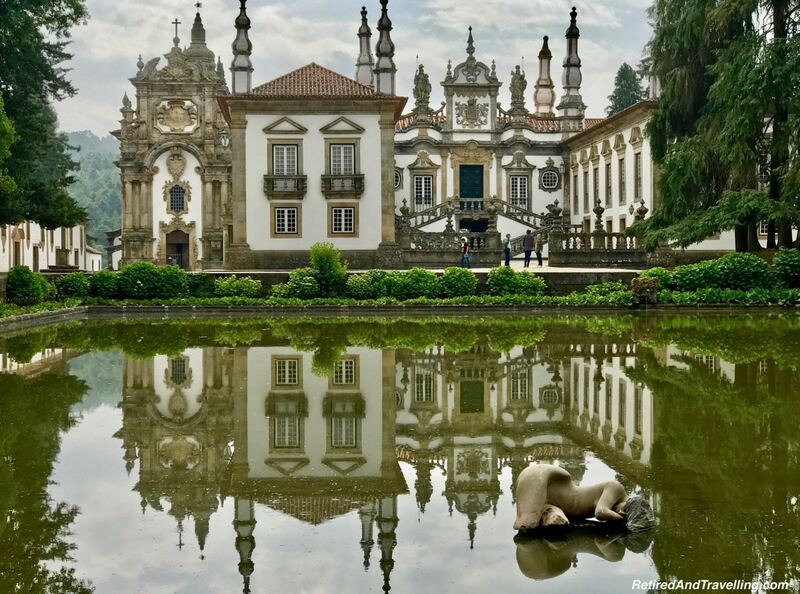 The Mateus Palace was just outside of the small town of Mateus. Our first view of the palace was stunning! We explored both the palace and the gardens. You cannot wander in the palace without a guide and tour. 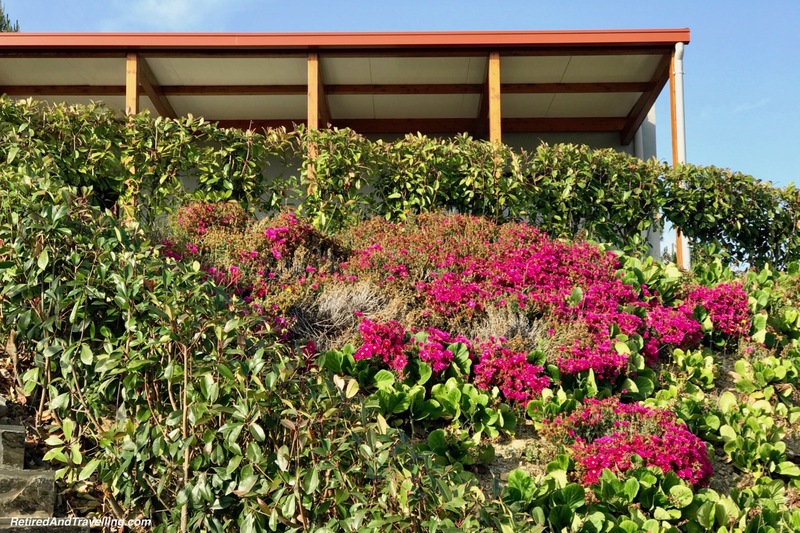 We walked from room to room admiring the areas that the resident family has opened up to the public. No pictures were allowed inside the palace. 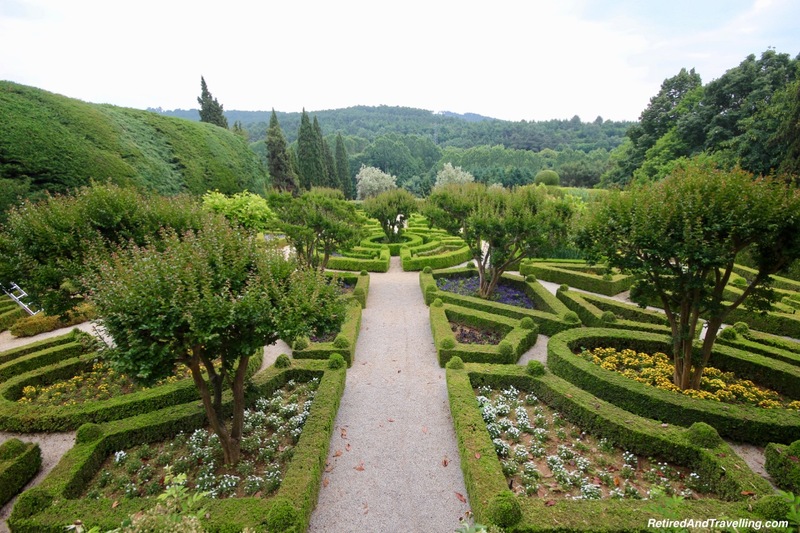 The english gardens are modelled after Versailles. There were several different areas. Roses were in bloom. As we moved under the arches between sections we could see the palace in the perfect setting of the garden. 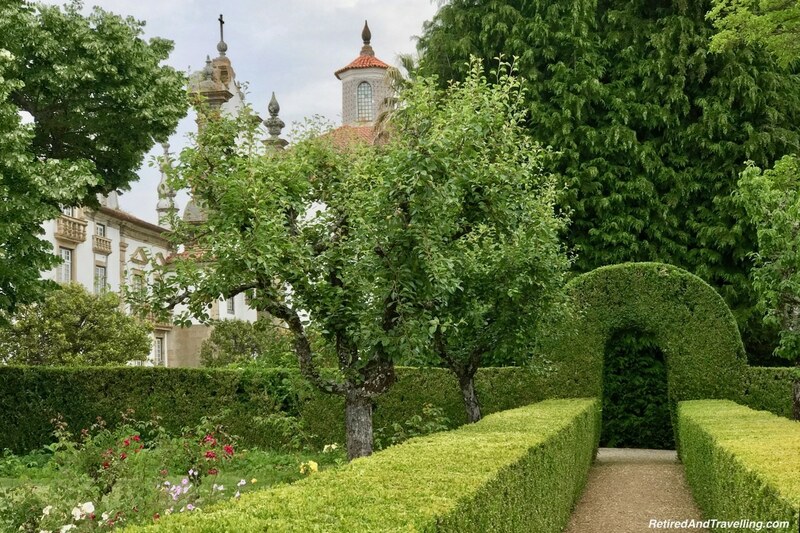 When you are staying in Douro wine country, don’t miss a chance to visit the Mateus Palace! 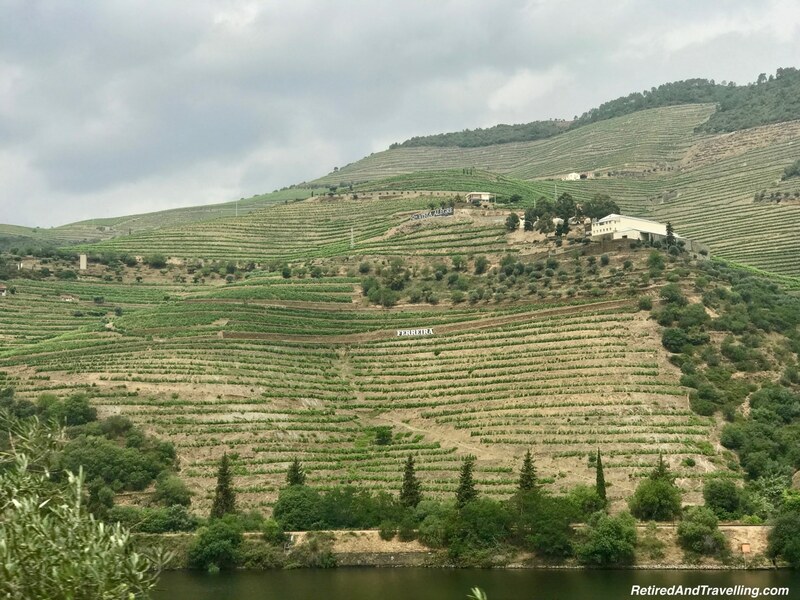 The Douro is one of the world’s oldest wine regions. 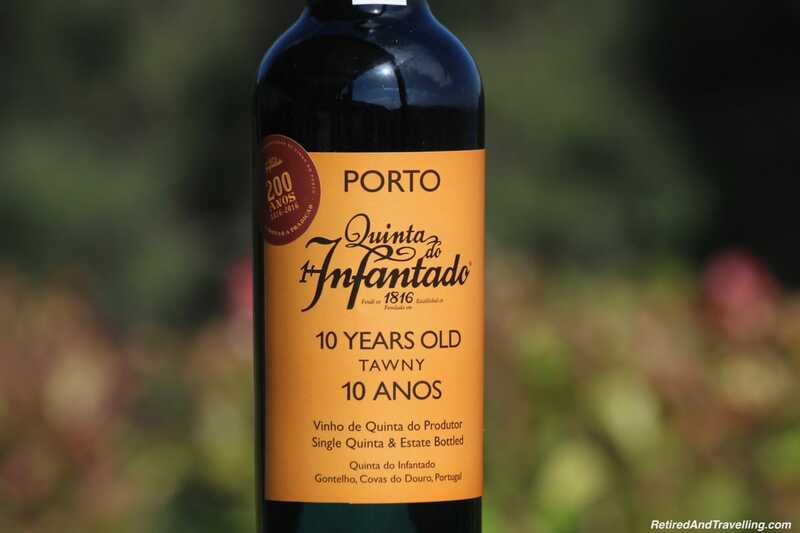 In 1756 it became the first defined and regulated wine region in the world by the government of the Marquis of Pombal. 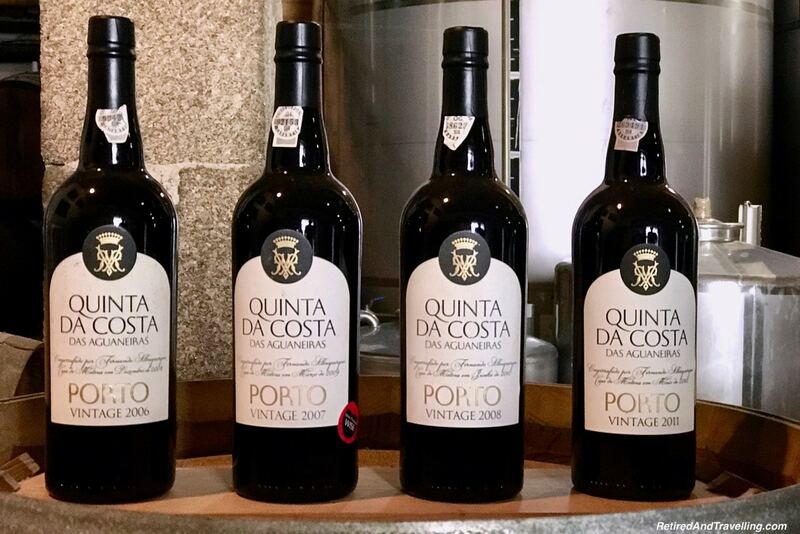 In 2001 the 24,600 hectares of the Douro Wine Region were designated as a UNESCO World Heritage Site. 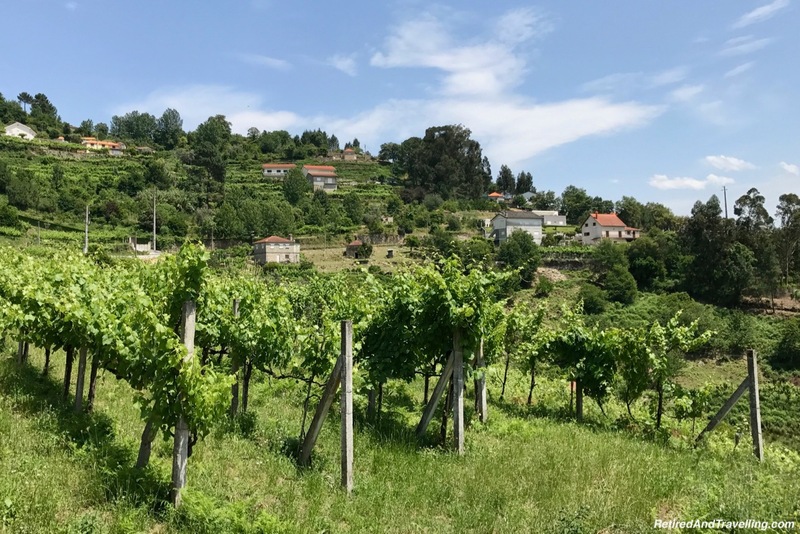 More than 2,000 years of winemaking in an area characterized by highly acidic ground and steep mountain contours have shaped the terraced, vine-covered, wine-producing area. 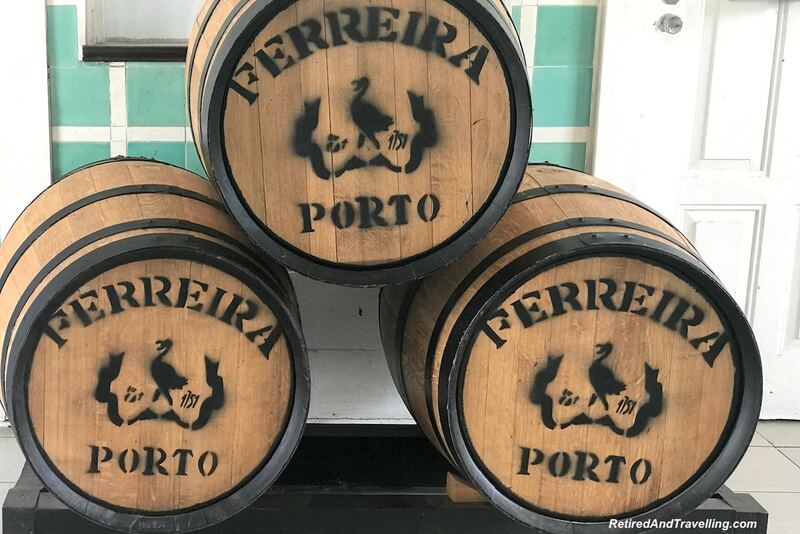 The region is known for its Port wine. But wine production has diversified in recent year. 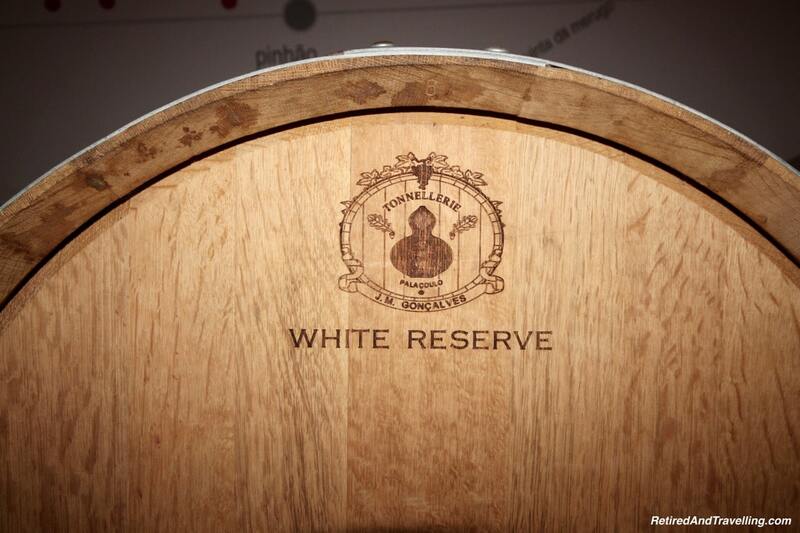 Red wines had always been produced but the region is now producing many varieties of wines. 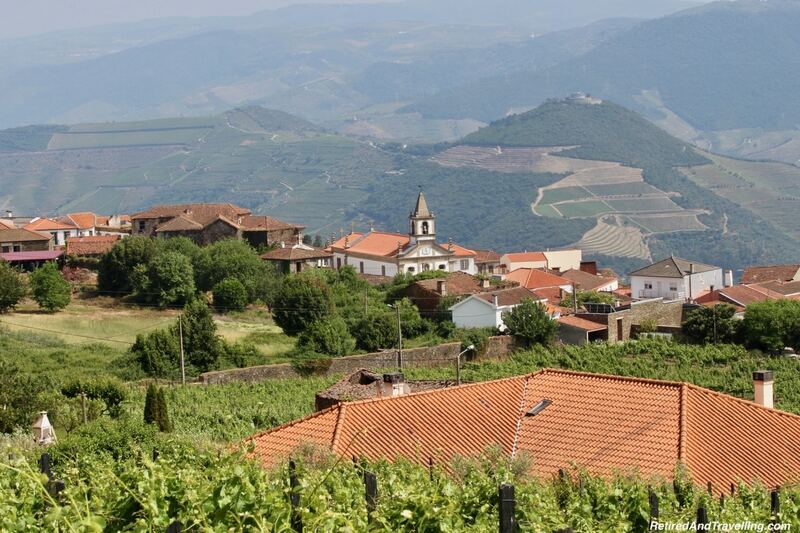 Staying in Douro wine country, you will be surrounded by vineyards and wineries. You can do a formal tour or can just wander in when you see an “open” sign. 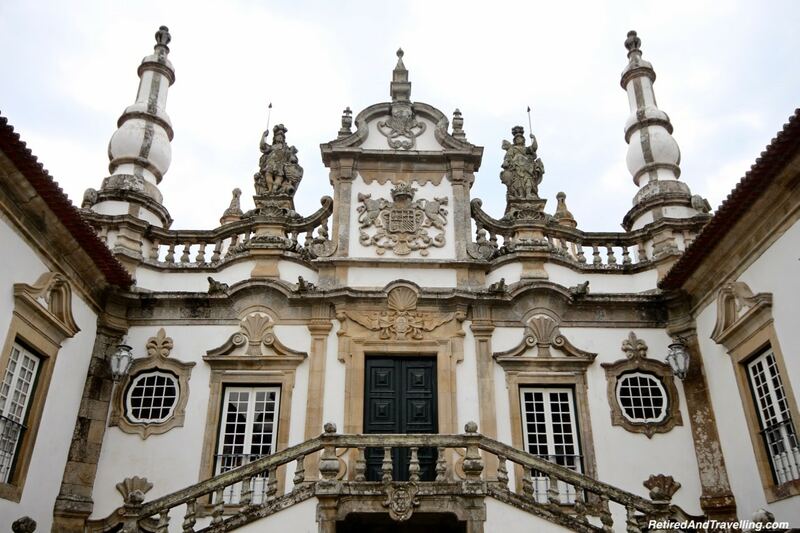 When we visited the Mateus Palace we got to walk through the wine production facility. 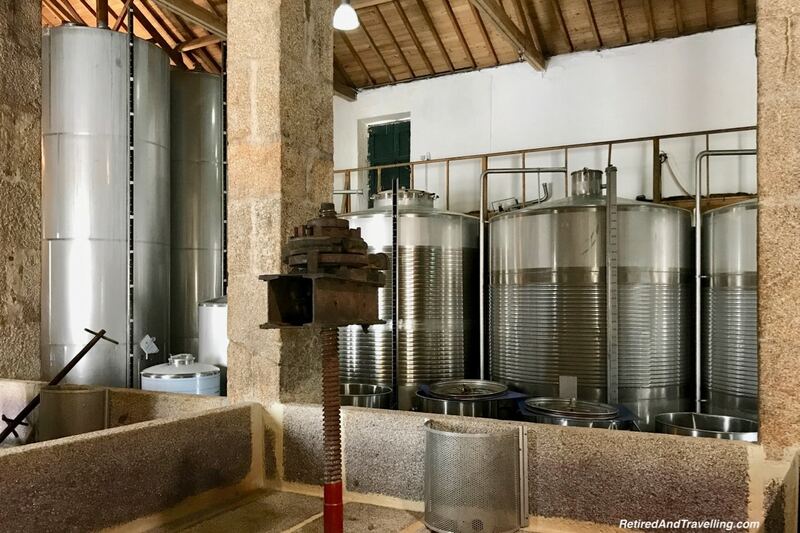 Only a small amount of wine is made at this estate. There is a much larger processing plant in Sobrosa. They are also affiliated with a large wine producing group. A wide selection of wines were offered to taste. We had thought we might only get port but there was white, red and rose wines. 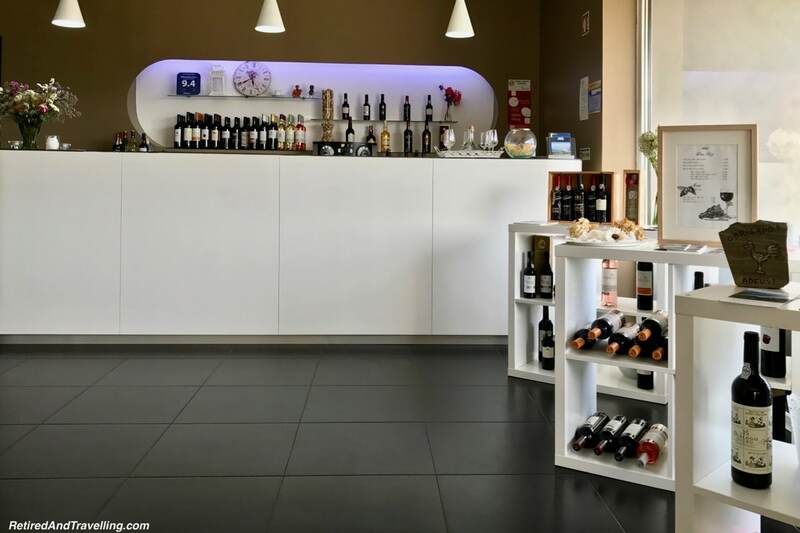 The store on the property offers a broader range of wines. For a very small fee (1.5€) we could do a small sampling. If you came on a larger group tour, there was a more expensive 4€ sampling available. 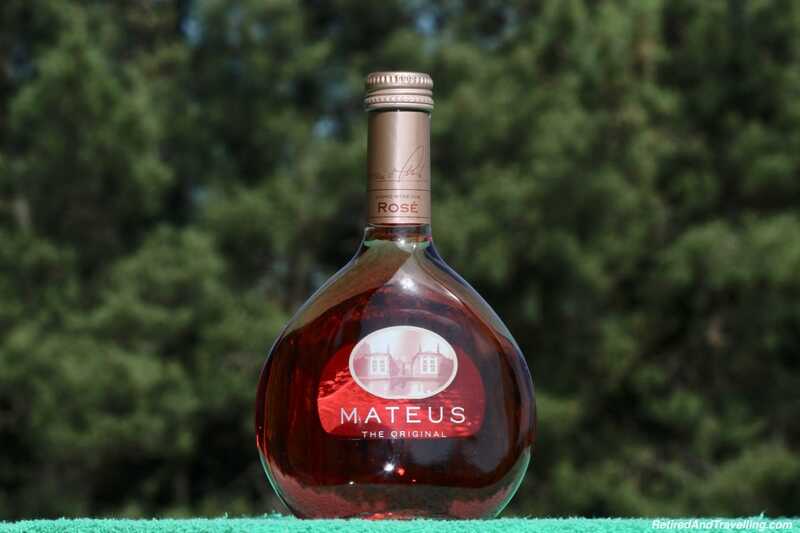 We were amused to find when we visited the Mateus Palace that they do not produce the famous Mateus rosé wine. 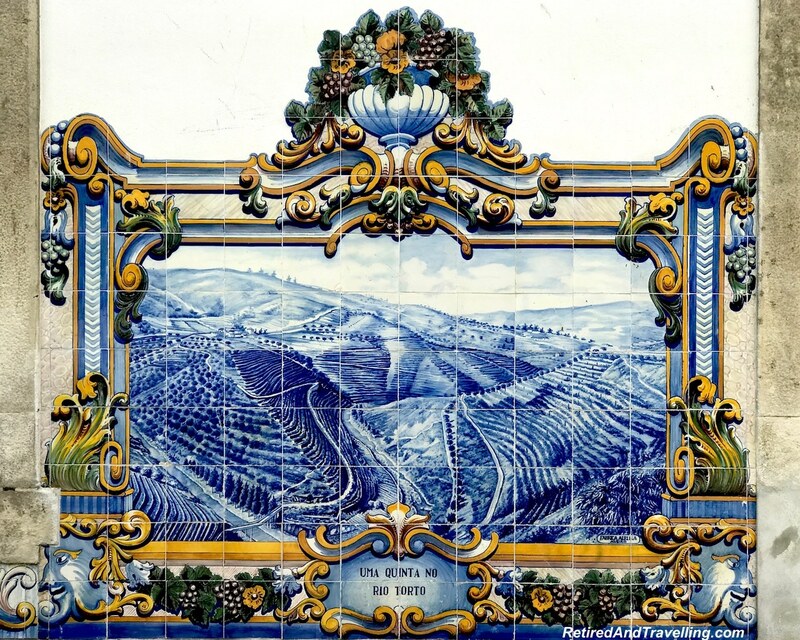 Many years ago they licensed the use of the palace image for use on Mateus wine bottles! 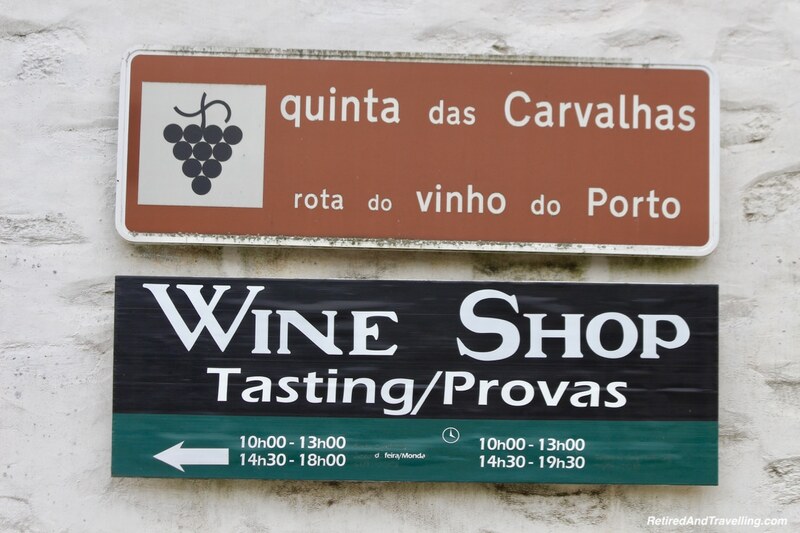 Wine tasting is certainly something the you should do when staying in Douro wine country. 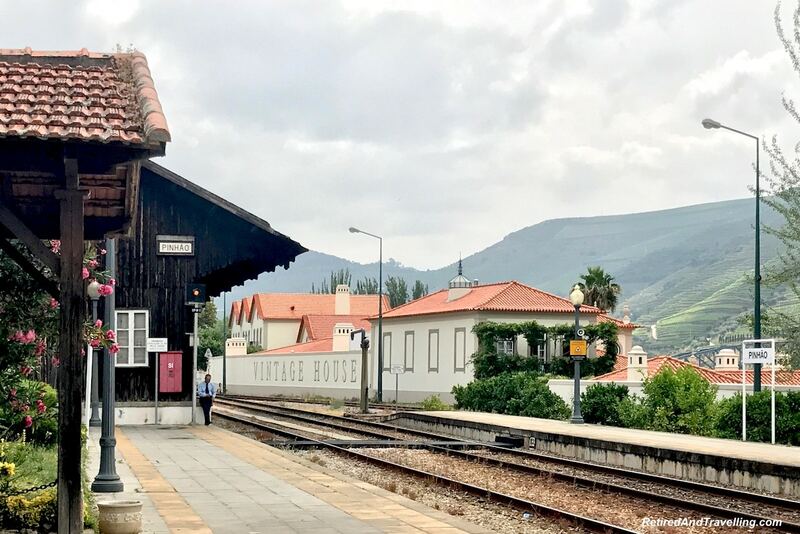 Whether you come by car, train or boat you should visit the Pinhao train station. 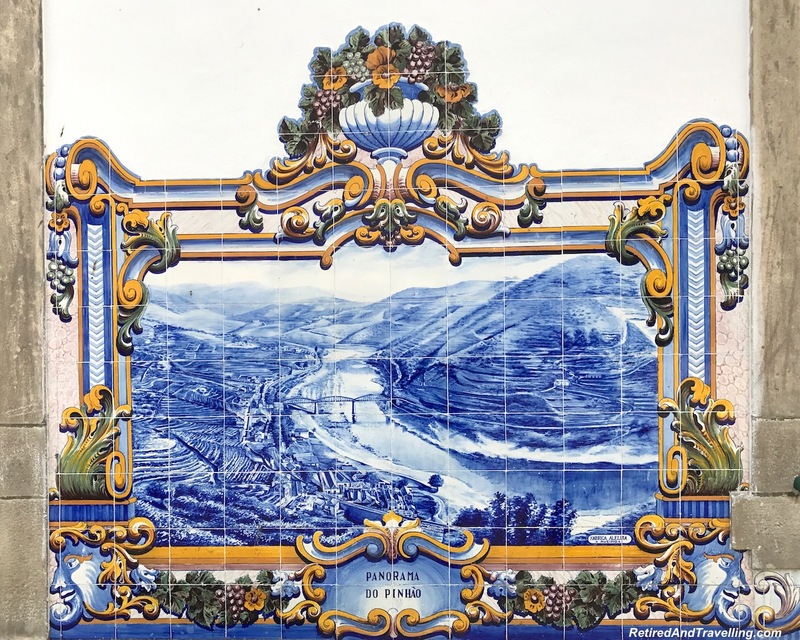 When we visited Porto, we were entranced by the great tile art that decorated the Sao Bento train station. 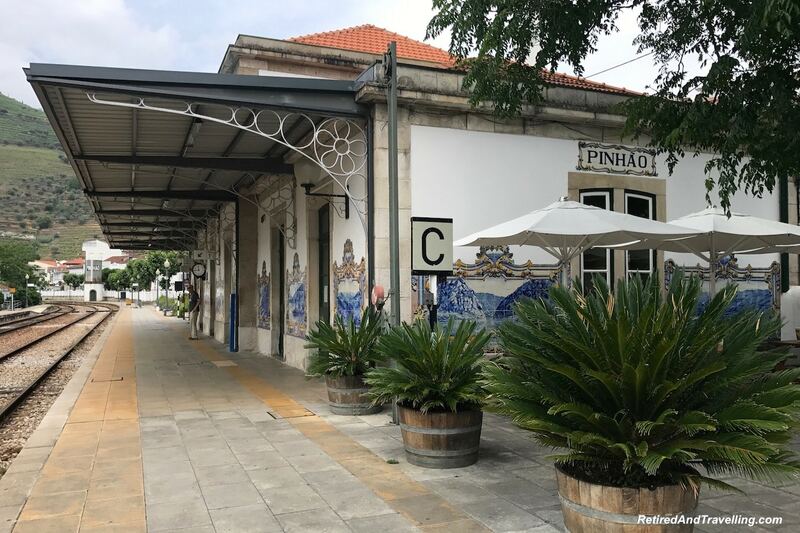 We stopped at the Pinhao train station because of the tile art. 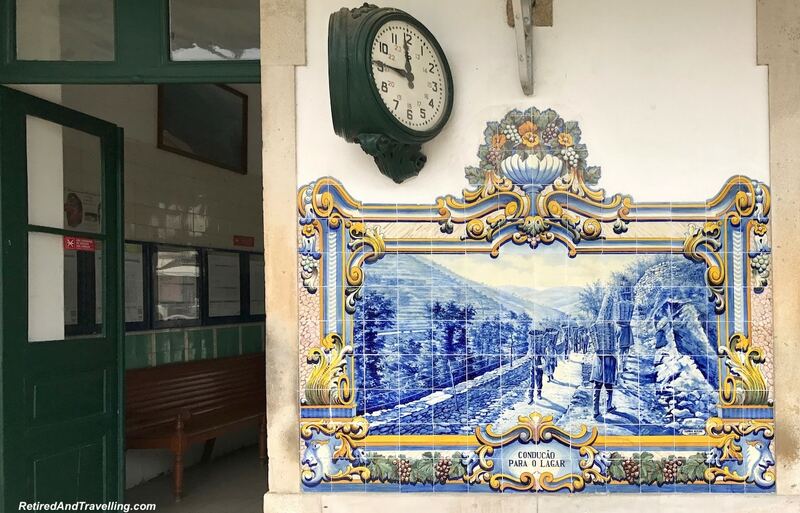 While not as large as the tile work in Porto, we found a great number of tile paintings on all of the exterior walls of the train station. 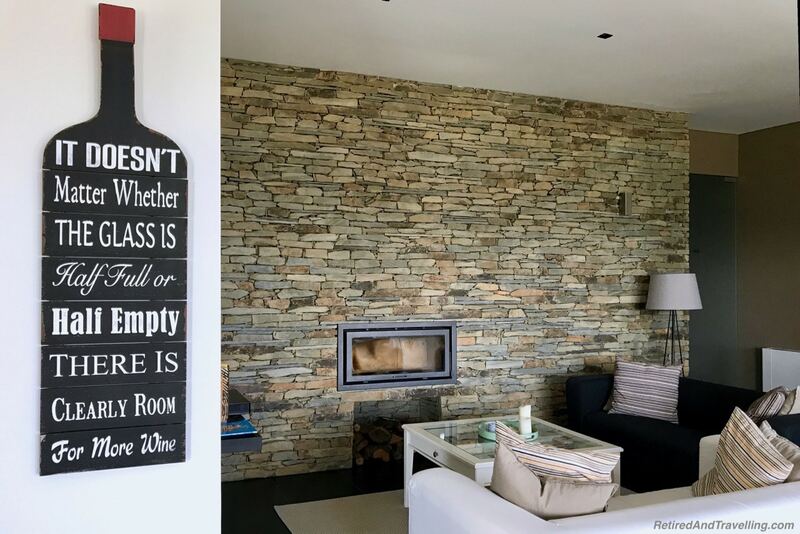 And of course, the interior reminded you that you were staying in Douro wine country. 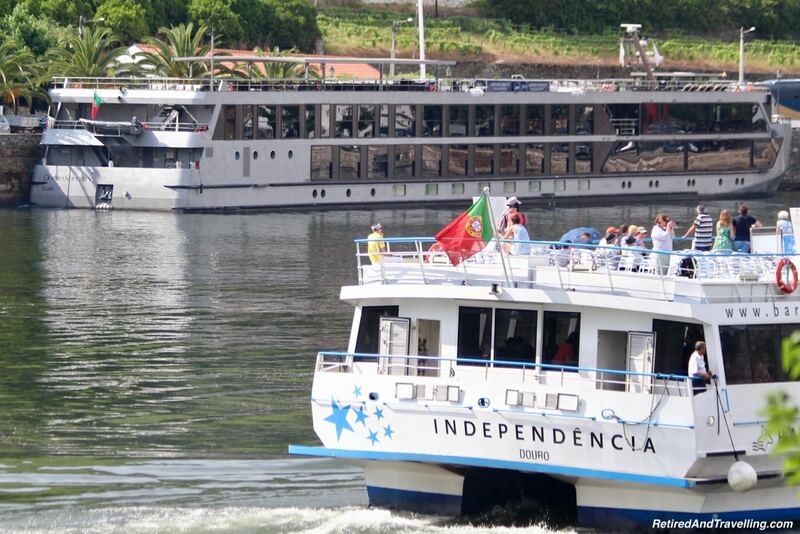 There are several short river cruises that you can do from Regua or Pinhau. 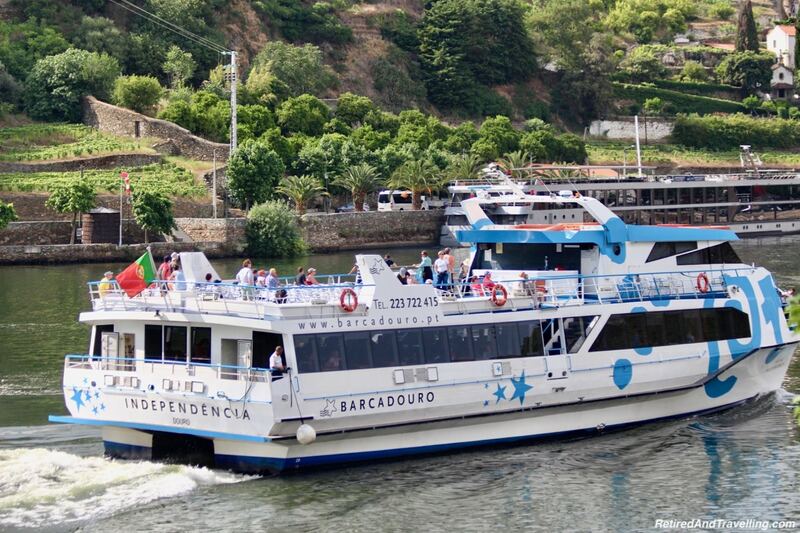 You will generally go in a smaller boat than the large riverboats that travel from Porto. You might even take ride in a much smaller rabelo boats. These smaller boats reminded me of gondolas as they cruised along the river. 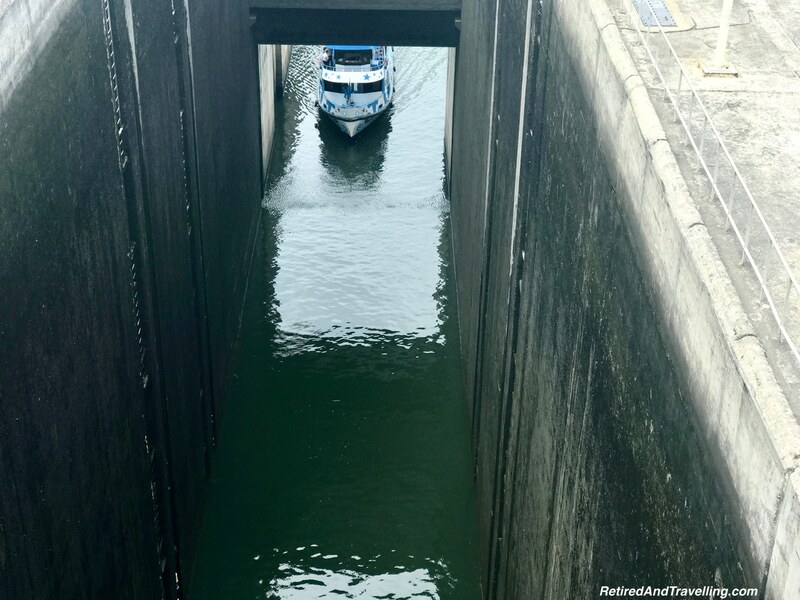 You will typically cruise between locks. 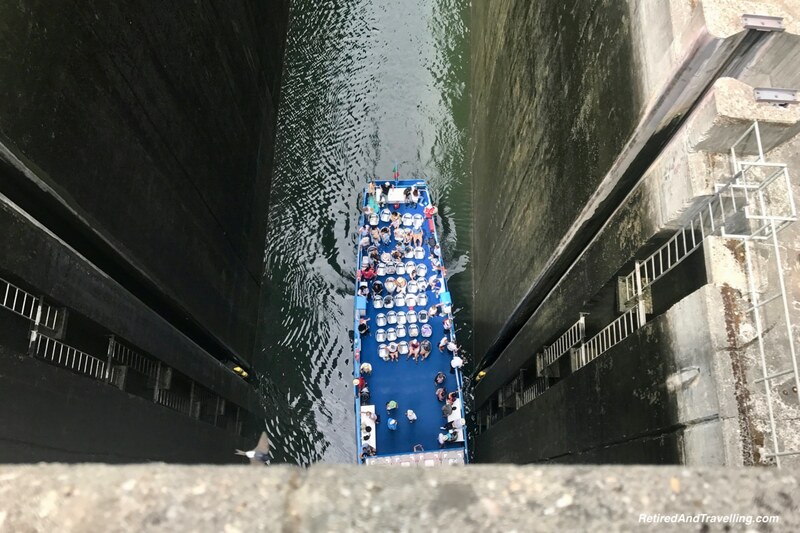 If you have never travelled through large locks, this might be an interesting thing to do. 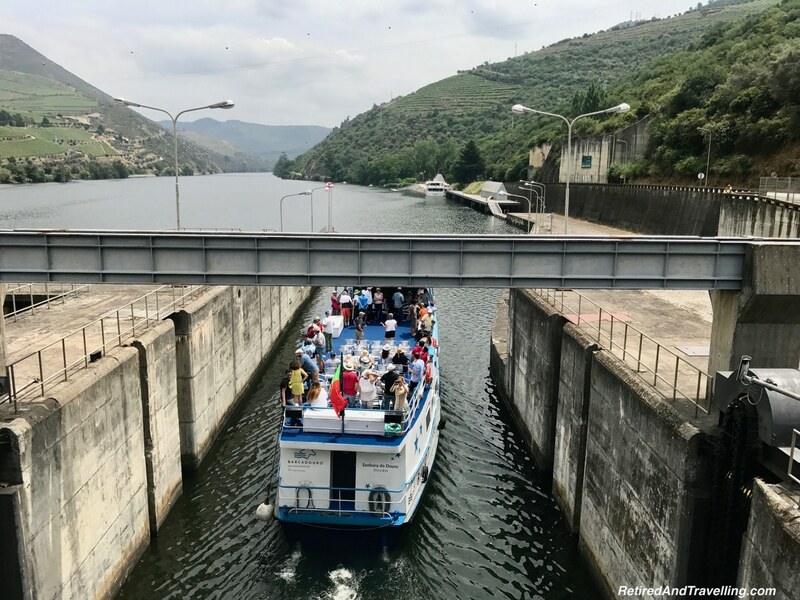 One of the locks on the Douro River was in action when we were near Regau. We travelled through the interesting locks at home north of Toronto. We also saw the Panama Canal in action. So going through the locks on the Douro River were less of interest to us. 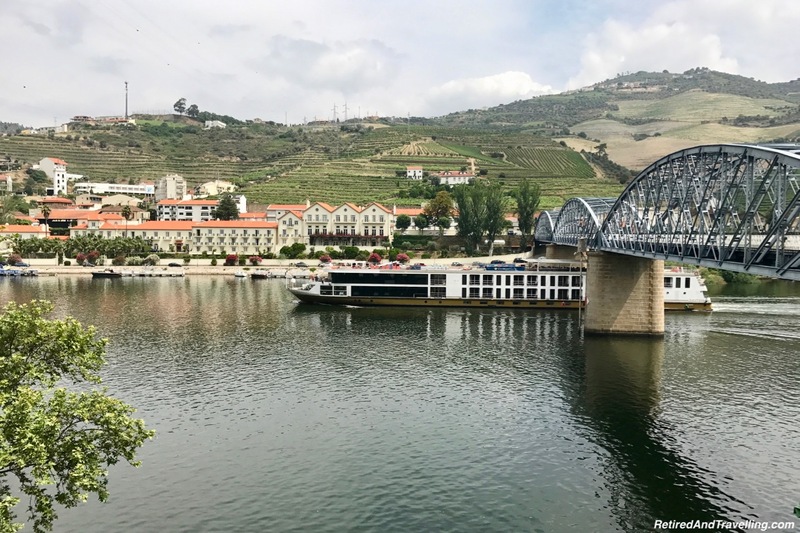 When you take a river cruise, you will get a great water level view of the vineyards and the countryside. Looking up you will see the terraces rolling up to the sky. 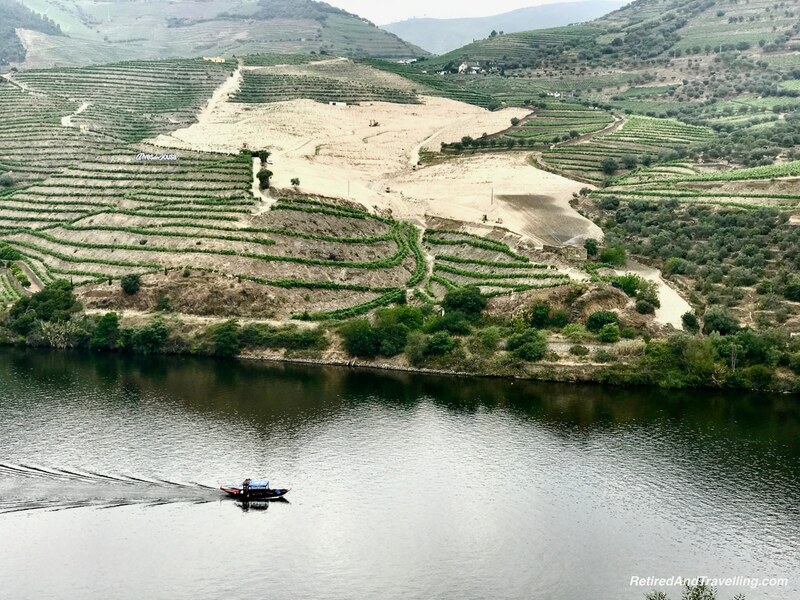 If you missed a ride up the Douro River on a boat, this might be something to consider when staying in Douro wine country. 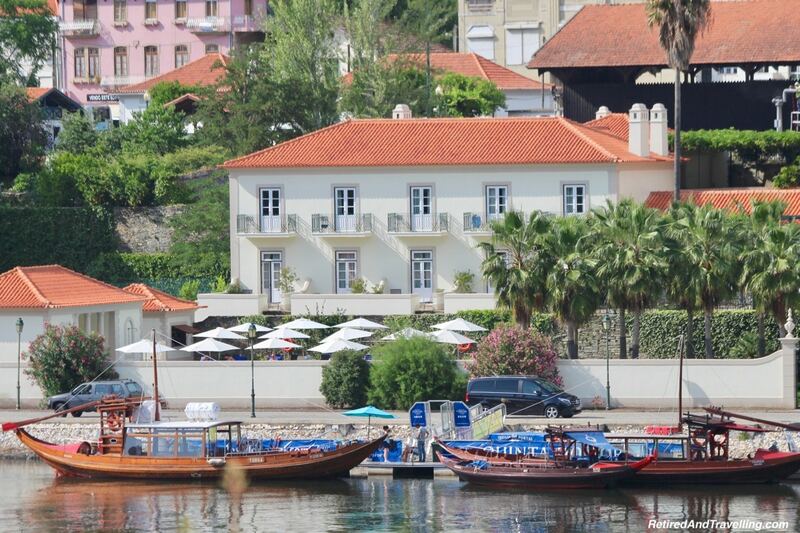 We had considered hotels in both Regua and Pinhao when we were looking for accommodations for our trip up the Douro River. Accommodations for the period we needed were scarce. We figured they mostly accommodated the boat travellers. David instead looked for a more quaint spot in the country. 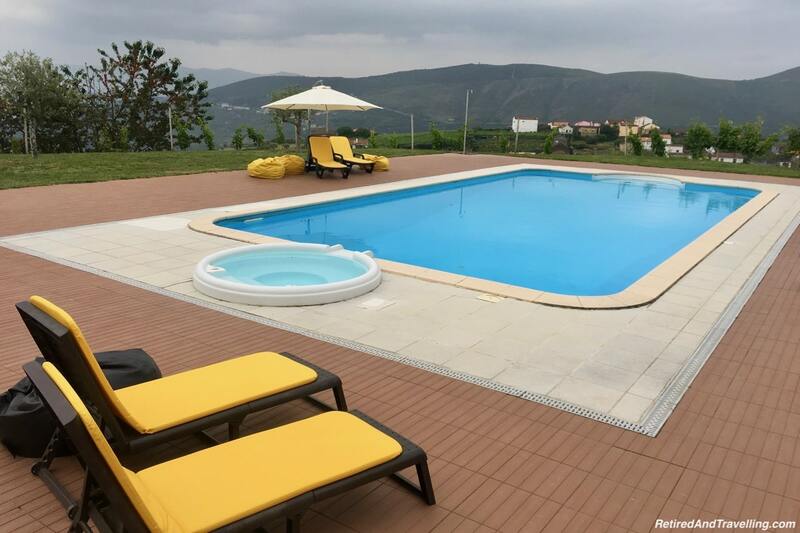 The Quinta Manhas was a perfect way of staying in Douro wine country. It provided a great base for us to explore the wine area. 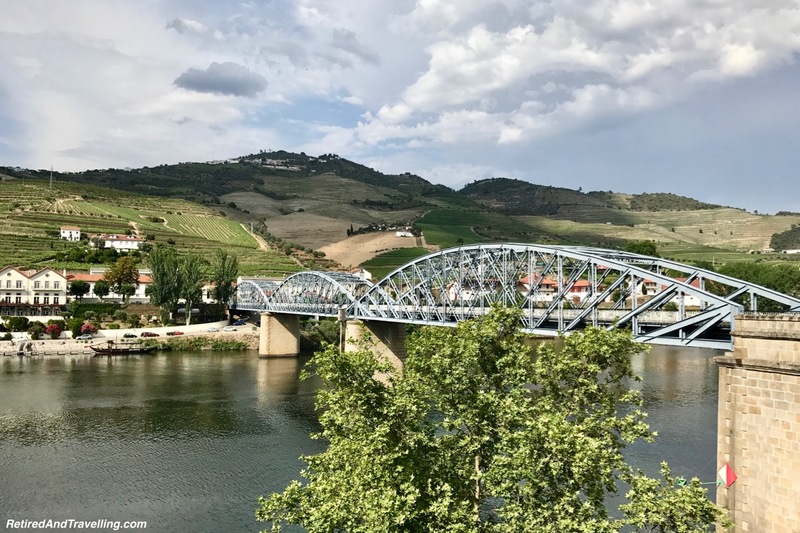 We stayed for just two days but we did get to sample some of the things to do when staying in Douro wine country. And it was a relaxing break! 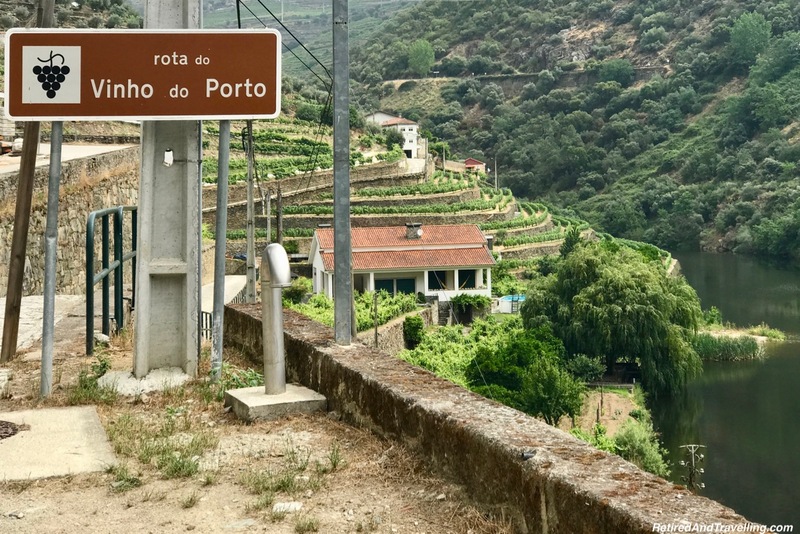 We left the Douro region and headed towards the coast to travel down to Lisbon. Our first stop was the university town of Coimbra. 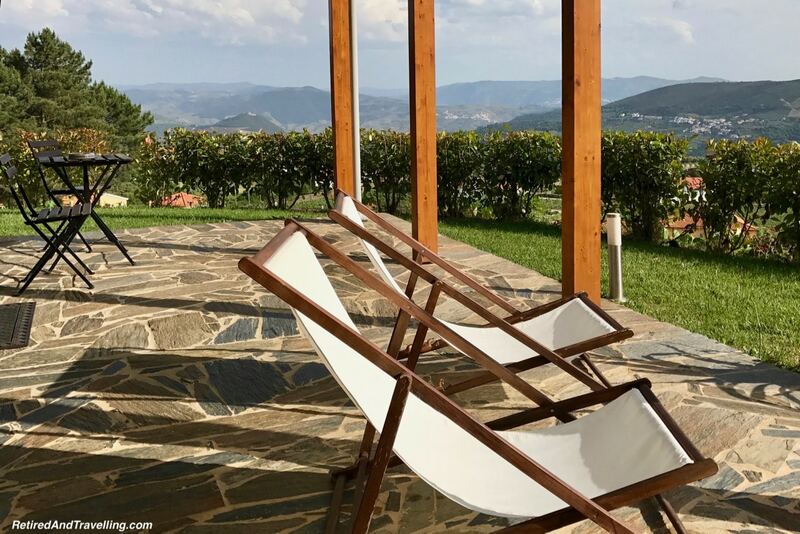 Do your plans include staying in Douro wine country? 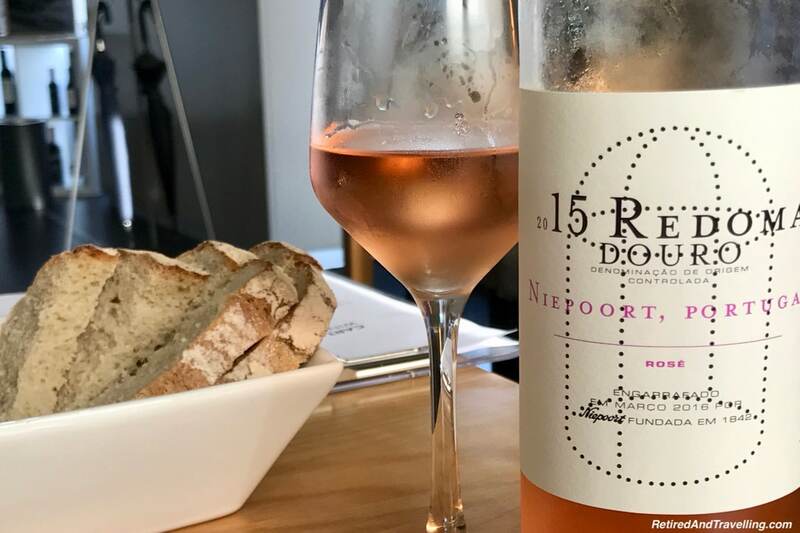 Have you thought about staying high in the vineyards?